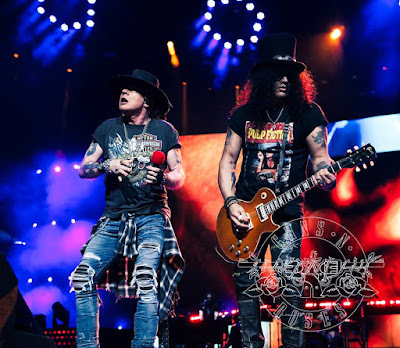 Guns N’ Roses have added a November 29 date in Johannesburg, South Africa to the fall run of their Not In This Lifetime world tour. The show at the city’s FNB Stadium marks the latest addition to the group’s 2018 schedule, which opened in Berlin, Germany on June 3; the Johannesburg event will follow previously-announced concerts in Asia and a November 25 appearance at the Formula 1 2018 Etihad Airways Abu Dhabi Grand Prix in the United Arab Emirates. Presales for the Johannesburg concert are underway now with general public tickets on sale starting Friday, June 7 at 9 AM local time.